Scientists on quest to assess risk of future ice sheet collapse. 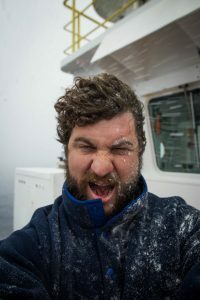 DeKalb, Ill. — On Jan. 18, Reed Scherer once again will venture into the depths of Antarctica, boarding the same ship he traveled elsewhere on decades ago as an eager young scientist striving to decipher geologic history. It’s a trip the NIU geologist and Board of Trustees professor has sought to take for the past 10 years, all the while encouraging the many students he’s mentored to take research trips of their own. His motivation intensifies yearly as warming climates in an increasingly carbon dioxide-enhanced world threaten to one day create what has been described as a coastal catastrophe. Inspired by scientists before them, Scherer and his colleagues have helped build an NIU legacy of exploration in the Polar Regions. NIU even helped lead the first scientific drilling effort in Antarctica in 1972. In the scientific world, Antarctica—with its wealth of geologic history frozen in time—is a beacon for those working to predict the future impact of climate change by studying the geological treasures of the past buried within the continent. Scientists, in a sense, compete to go there. Both figuratively and literally, NIU professors, students and alumni are leaving an Antarctic footprint, as they’re often among the select few chosen from throughout the world to explore the continent. “That speaks to the respect with which NIU is held among the Antarctic and scientific community,” said Scherer, whose latest trip is among his most in-depth as he heads for an extremely isolated area of the West Antarctic Ice Sheet. He’ll be off shore in the Amundsen Sea, an area named for the Norwegian explorer who first set foot on the South Pole. This is an area experiencing the largest ice-mass loss in Antarctica. Between Scherer and his colleague Ross Powell—a fellow distinguished research professor who took his first trip to Antarctica in 1974—NIU has had more than its share of representation in the Polar region. The number of trips taken by each of them in the high teens, the geologists often have NIU students in tow. 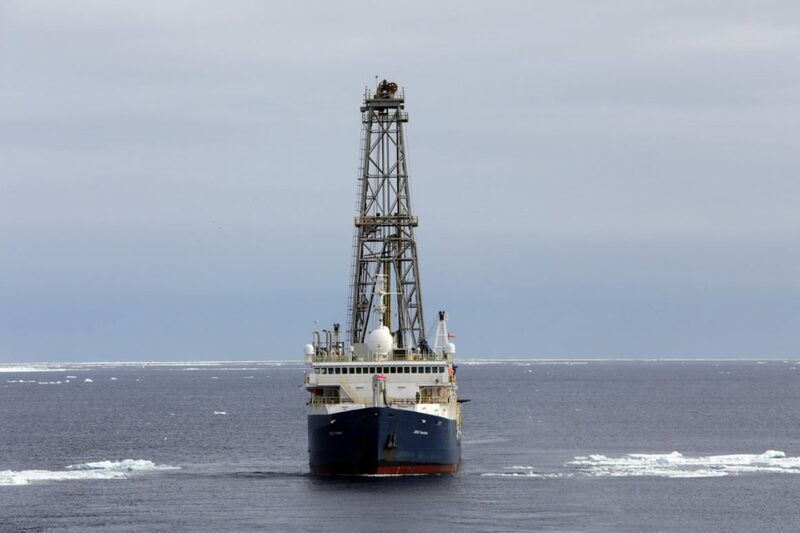 Another NIU geology professor, Justin Dodd, joined NIU alumnus and geologist Mark Leckie of the University of Massachusetts Amherst for an International Ocean Discovery Program (IODP) expedition in Antarctica in early 2018. 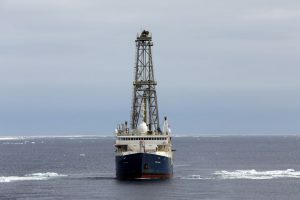 The two explored beneath the Ross Sea aboard the JOIDES Resolution scientific drill ship. As a geochemist, Dodd’s research focuses on chemical variations in the sediment to tell the story of past oceanic and climatic conditions. 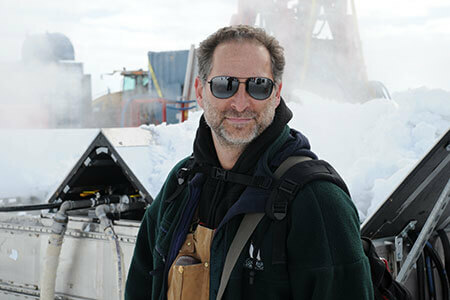 As part of the latest IODP expedition, Scherer’s upcoming venture will bring him deep within the Amundsen Sea on the JOIDES Resolution. Used for research since 1985, this floating laboratory has drilled thousands of deep holes in the sea floor, making some of the world’s greatest scientific discoveries. “It’s a rare opportunity,” said Scherer as he prepared for the two-month-long trip. He’ll work alongside fellow scientists to recover sediments to help determine how ice in the region has behaved under past temperature changes. Those records provide evidence that validate and refine computer models that seek to forecast behavior of the ice sheet. Scherer specifically studies diatoms, microscopic single-celled algae that live in shallow seawater and are deposited on the ocean floor as fossils. They leave behind glass-like shells that tell a tale of climate change over time. Scientists have discovered a retreat of the West Antarctic Ice Sheet, with oceans rapidly warming in the polar regions. The amount of carbon dioxide in the atmosphere has reached levels not seen in 4 million years, when the world was much warmer and sea levels much higher than today, Scherer said. A complete melting of the massive block of ice in the West Antarctic Ice Sheet would raise the global sea level by more than 10 feet, he said. re than a billion people. Sea level rise might not seem to directly impact a place like DeKalb, but such a human displacement would impact everyone, everywhere, Scherer said. Scherer first grew interested in the West Antarctic Ice Sheet as a Ph.D. student studying a research paper published in 1978 by the late glaciologist John Mercer. Mercer predicted that green-house warming from burning fossil fuel could have the same effect on the West Antarctic Ice Sheet as a collapse of the sheet believed to have happened during the last interglacial. 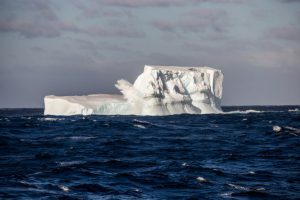 Research shows a limiting of carbon dioxide rise in the coming decades could delay “coastal catastrophe” from West Antarctica, Scherer said. “I was pretty skeptical myself,” he said of Mercer’s predictions years ago. That was before he delved into his own research. “In the long-term, it’s not a hypothesis we’ll ever really be able to test by direct observation in our lifetime,” Scherer said. “It’s turning out a lot of the things predicted are showing. 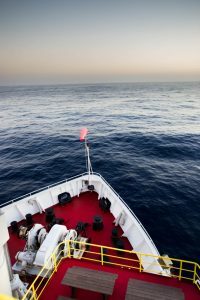 NIU Ph.D. alumna Ellen Cowan, a geologist at Appalachian State University, will join Scherer on his trip, while recent alumnus Jonathan Warnock, now an assistant professor in the department of geoscience at Indiana University of Pennsylvania, will embark on an IOPD expedition in the Scotia Sea in March. In early 2016, Jason Coenen, a Ph.D. student at NIU, traveled on the JOIDES Resolution as part of an IOPD expedition to the Southern Indian Ocean and Mozambique Channel in South Africa. Powell and Scherer passed the exploration bug along to Coenen, with Scherer even reaching out to his student through email while on one of his many expeditions on the other side of the globe. Like Scherer, Coenen studies diatoms. On the JOIDES Resolution, he worked 12 hours on, 12 hours off. 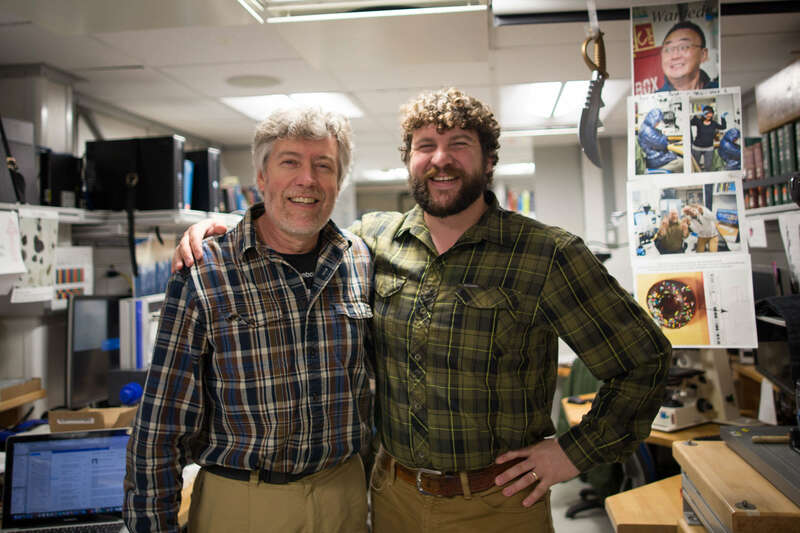 With Scherer leaving on his latest trip, Coenen will be teaching an Oceanography course this spring, aiming to carry on that legacy created by his mentors. “Maybe we can get a few majors to come in and spark an interest for that next generation,” he said.